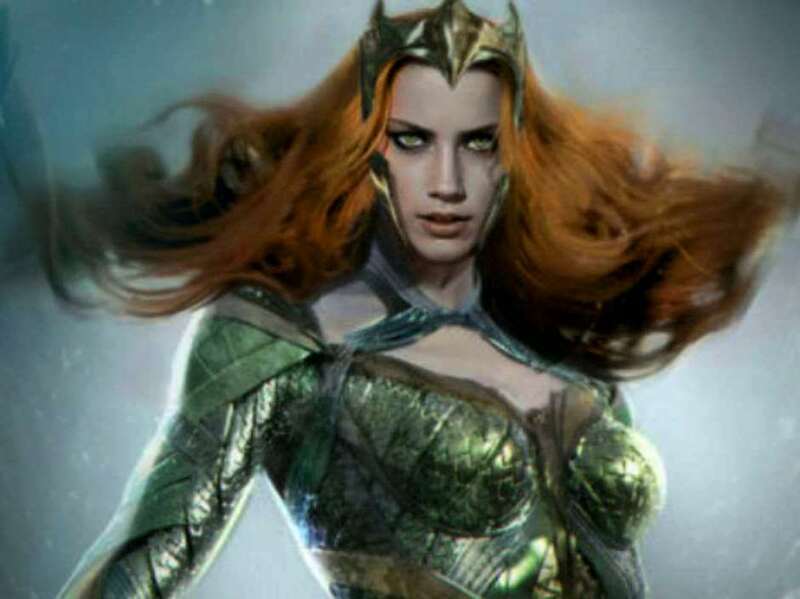 She's Fantastic: DC Justice League Multiverse - MERA! So right off the bat I have a slight problem. Her sculpt is beautiful, the design is great, the articulation is plentiful and well-tooled. But for some reason they skimped on the facial paint apps. Her face is a simplified version of the prototypes and solicit pics. It's not unheard of to see that kind of cost-cutting measure. But in this case I was disappointed because it makes her not blend in with the Wonder Woman line, who all had very detailed face paint (if you can't tell, Mera has no iris or highlights in her eyes. just black and white heavy-lidded eyes). Also, her upper lip is unpainted (on mine at least). From a 3/4 angle she looks gorgeous. Profile too! This is a beautiful sculpt. Mera comes with extra water-expelling hands and a spear/staff. Here are some images of Amber Heard as Mera from the film. Here she is with the Brightest Day Mera from DC Direct. And with the TRU Wonder Woman Multiverse figure (which is the same mold as the Justice League release). I'm curious to see if Amber Heard is really this much taller that Gal Gadot. And with Diana and Hippolyta. So, as mentioned above, I wasn't super happy with her deadlight eyes and tried a quick eye repaint. I'm probably going to completely re-do it because I'm a perfectionist, but I thought I would show the current comparison. Updated one on the Left, original on Right. Yeah, I do wish we got Antiope in the Multiverse line. It's odd because Mattel did make an Antiope Barbie, so Robin Wright must've approved that. Well look at it this way, James Wan's Aquaman could still be awesome. Like, Insidious 2 aside, dude has yet to make a bad movie. Ooh, she looks right in step with Diana and Hippolyta. Nice figure. Great sculpt and costume. Looking forward to the movie. I think most parts of her sculpt and paint look terrific, but indeed it's a shame what they did (or should I say didn't) do to her face..I think it's a proven fact that most people are naturally drawn to eyes first (I think with figures representing a human as well), so they should've knocked that part out of the park for sure! Makes or breaks a figure imo..your update is a great improvement, no more drugged out look! It was a good movie, I'd definitely see it again, I thought Batman and Superman looked perfect and colorful. 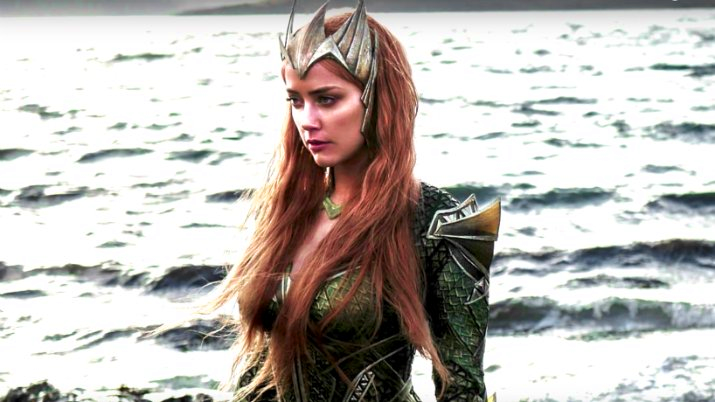 I think the scenes where Mera goes on land must have been cut out but will be put in the blu ray.